In October 2004, a man called Chris Anderson wrote a very influential article for Wired magazine called “The Long Tail”. In it, he explained how a little-known statistics term, called the long tail, actually explained a lot about success in the business world. The basic premise is that the market for products not widely available in bricks n’ mortar stores is as big, if not bigger, than the market for products that are carried in stores. We can apply the long tail theory to niche and designer perfumery too. Think of designer perfumes like those 130,000 titles carried in Barnes & Noble: the perfumes have been designed to appeal to the tastes of a general audience, meaning nothing too out there or weird. They’ve been selected specifically because they have proved themselves to be popular; people want to buy them. These perfumes are the pop songs of the fragrance world – digestible, catchy, and pleasing in a broad way. They are also, crucially, available to you at an actual store near you. Niche perfumes are – or were – equivalent to that copy of The Digestive System of The Brown River Trout floating around on Amazon. Too obscure or too weird to sell at mass volume. Maybe one person a year buys this title. But here’s the thing: it is around the most obscure things that cults grow. Find people whose tastes run opposite to the mainstream and who revel instead in originality, creativity, sense of derring do, and yes, even rawness, and you’ve found a niche market that will make it worth the risk. The length and depth of the Internet is what makes it possible for a niche or indie brand to find these people, and build a community around an idea that would otherwise sink on the high street. Lately, though, the lines between the designer and niche perfume segments have been blurring. While distribution was once one of the key differentiators, niche perfume brands such as Commodity and Atelier Cologne are now almost as widely distributed as designer brands, thanks to Sephora. Take the question of distribution out of the picture, and what is left to differentiate niche from designer but the artistic freedom of niche outfits to push boundaries? If pushing boundaries is the sole criterion left to differentiate niche from mainstream, then Atelier Cologne is not niche. Neither are any number of niche brands who (a) smooth out all of the weirdness so that the perfume is just as slick and as generically pleasing as a designer fragrance (like D600 by Carner Barcelona, which is basically a niche re-do of the already excellent Dior Homme), or (b) engage in the same paint-by-numbers mentality of designer companies who slot their releases into neatly predetermined insta-categories like “the oud” or “the leather” or “the gourmand” of the lineup. 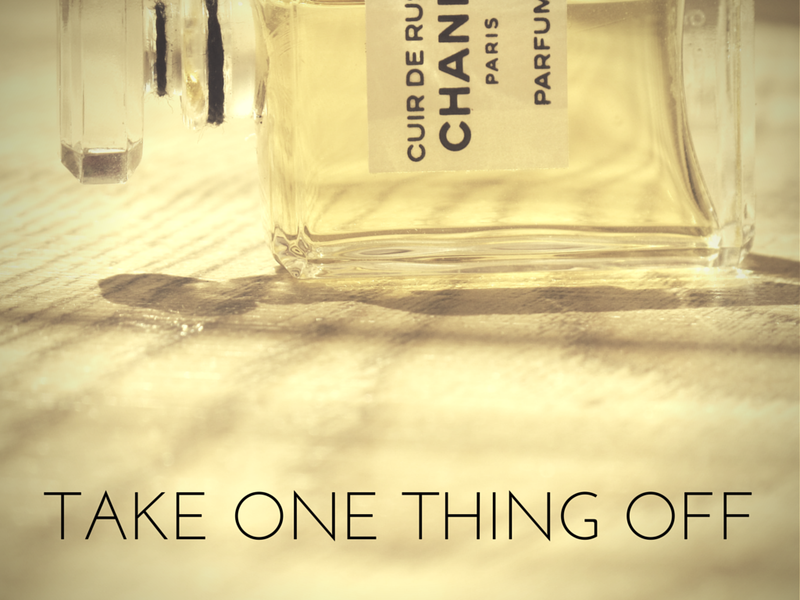 Although like most fragrance wearers, I am personally drawn to polish and creaminess and well, a certain slick mouthfeel to the perfumes I wear, the lack of real creativity and new ideas in niche can be a bit of a turn off. Increasingly, I am asking myself if the price bump for nicheyness is justified if I can find the same ideas and the same polish on the department store shelves. That’s why I have been gravitating more and more towards the indies and the naturals. Raw and weird they may (occasionally) be, but when I want to experience real creativity over mouthfeel, that’s where I go. The January Scent Project fragrances, by artist, Fragrantica editor, and all-round good egg John Biebel, are the perfect embodiment of long tail thinking. Highly unusual, kooky, outlier scents that would go down like a lead balloon at a department store but flourish online because there is enough people in this small, scattered, but passionate community of ours who love outliers and want to buy them. Having said that, even for me, the January Scent Project scents push at the upper limits of one’s tolerance for weird. I have tested three of the fragrances – Smolderose EDP, Eiderantler, and Selperniku – several times now, and I can’t say that I’m any closer to understanding them than I was before. Actually, this whole experience of testing them has made me realize just how limited and conventional my tastes must be. But still, I want to write this in praise of art, in general, or put a little less preciously, in praise of people, like John Biebel, who are brave enough to create things just to express an idea, and not because they think it will sell. There’s a beauty in that that I want to acknowledge. Embarrassingly, my experience seems to differ quite substantially from those on Fragrantica, Kafkaesque, The Silver Fox, IndieScents, and various other bloggers (please do read those reviews, which I’ve linked below, if you want a more technically accurate picture of what these smell like), leading me to believe that my nose is just not adept at picking up on minutiae. I experience the January Scent Project perfumes in blocks rather than waves, with some accords coming to me clearly and all at once, other notes eluding me altogether. In other words, I am writing this review really only to define these perfumes for myself and myself alone – it probably won’t be of any use to anyone else. Sorry. Smolderose (the EDP version) is beautiful and arresting, but I have to admit straight up that I cannot smell the rose in it. What I smell is primarily the head-spinning fumes of a room where tins of black boot polish are stored, a smell that is tarry and (pleasantly) chemical rather than smoky. I smell the lemony-minty green sting of geranium in a minor key, which is a rosy note, I guess, as well as the leathery undertone of choya nakh (roasted seashells), a distillate used in very careful doses in traditional Indian attar perfumery to add a marine-leathery tone. Choya nakh is also used by Mandy Aftel to give Tango its smoky, skanky-leather undertone, and indeed, there is a somewhat similar tarry boot-rubber effect in that perfume too. But, for me, that almost benzene-like honk of black boot polish is what prevails. This seething, fizzing, gaseous miasma of fumes joins with the scent of our old Calor Gas heater, whose electric bars, when heated up, emitted an addictive aroma of heated electrical cogs and springs. I have a fondness for this accord, which I smell also in Gris Clair (Serge Lutens), because it seems to occupy a physical space in the air, charging the oxygen particles with ions and static electricity. I should mention that Smolderose takes up such a firm physical presence in the air that my head swims if I inhale too deeply. Some may be offended that I don’t pick up on the charred rose or the other multi-layered complexities that I’m sure are actually there, in the fabric of the scent. But what I smell works just brilliantly for me anyway. If you, like me, loved the cozy smells of the school supplies closet, with its vaporous, almost intoxicating fumes of glue, polish, paper, ink, and other chemicals, or have experienced the particularly Irish childhood experience of hugging the Calor Gas heater until it heated up enough to thaw your frozen limbs, then perhaps Smolderose EDP will strike a memory chord for you too. Selperniku is a real head-scratcher. The list of notes, impressions, and ideas I have had while wearing this one goes on for several pages. I puzzle over this one in particular, wondering if my experience of sandalwood and butter (butyric) notes is so vastly different to everyone else’s so as to render my report invalid. John has nailed the limey, curdy texture of real sandalwood, but the fragrance itself does not, in fact, smell at all like sandalwood. Neither does it smell like butter, in any way, shape, or form, to me. Or salt, really. Instead, what the fragrance seems to be doing is to take one small facet of all its constituent materials – salt, apricot, sandalwood, butter – and isolate them in the perfume, excising them from their wholeness. The result is that the nose recognizes one part of the material, but because it has been removed from its overall context, it strikes us as being both unfamiliar and familiar at the same time. Some of us are taking those fragments of sandalwood and peach and butter and rebuilding the whole picture in our mind; I personally cannot, only perceiving fragments here and there. Thus, I smell the slightly vomity undertone of milk, but not actual butter. I smell the rubbery, tart skin of the apricot, but not the fruit itself. Very clever. I should mention that the topnotes of Selperniku smell entirely of freshly-crushed lavender buds to me, and specifically, the dried English lavender variety that one gets in sachets. I get the fierce, purple roar of lavender at exactly the same moment as I am smelling a juicy, overripe peach or apricot note, and the dual experience momentarily shocks me. It is a very unusual effect, and one that I find so compelling that I spray it over and over again to experience. Your mileage may vary (and, boy, has that overused phrase in perfumery circles really earned its keep with the January Scent Project!). Directly under the lavender and peach opening, I sense a layer of curdled milk shifting below. It is only slightly vomitous, and probably only to me, but joined with a purplish “saltwater taffy” note I perceive, it adds up to something that approximates a lactonic wood accord. The peach/apricot disappears for a while, but makes an appearance again after a few hours, this time in the shape of a slightly sweaty, rubbery note that hints at fruit skin more than the flesh. Kafkaesque notes that this could be osmanthus, and I’m inclined to agree, because at one point, the scent recalls the rubbery apricot leather of Osmanthe Yunnan. The rubbery fruit skin of the apricot mixed with the lactones certainly adds up to something suggestive of human skin, and perhaps specifically, the scent of a woman’s nape after a full day of wearing a gently peachy perfume, like Chant d’Aromes. In the far drydown, blowing on my skin revealed a layering of piquant green leaves over the tart, rubbery lactonic peach skin note, which smells to me like the juice from dock leaves we would use to treat nettle burns when we were kids. That, plus, the late return of those dried lavender buds, make me think of Selperniku as being far more a rustic, countryside-ish fragrance than it at first makes itself out to be. Eiderantler is softness embodied, a watercolor of pale lavender and feathery green leaves. It reminds me very much of my mother’s bathroom, which smells of a natural lavender-infused oil I bought for her on Hvar, an island off the coast of Croatia famous for its fields of lavender. The oil is old, so what meets the nose first is the fatty, waxy smell of the carrier oil itself, a little stale, but not rancid. Then the smell of lavender buds come through, the same crushed-between-your-fingers lavender smell as in Selperniku, but far gentler and balmier, as if the buds have been washed down in a sweet, milky lotion. What I like about Eiderantler is its gentleness. The potential bitterness of the ivy and the lavender has been managed so that their natural, in-built pungency is softened and spaced out, diffused into your personal space by a humidifier.